Cheti Chand is the Sindhi New Year Day celebrated on the second day of Cheti month (Chaitra month). This year Cheti Chand falls on April 5, 2011. 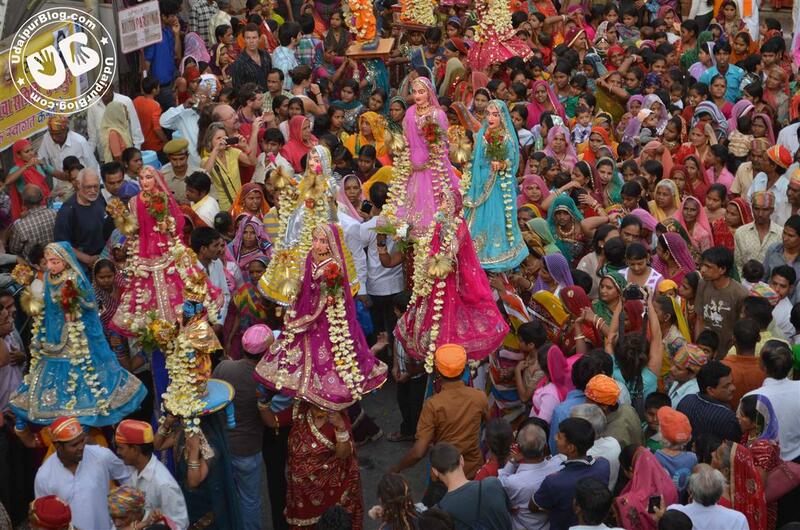 This festival is similar to other Hindu New Year festivals. 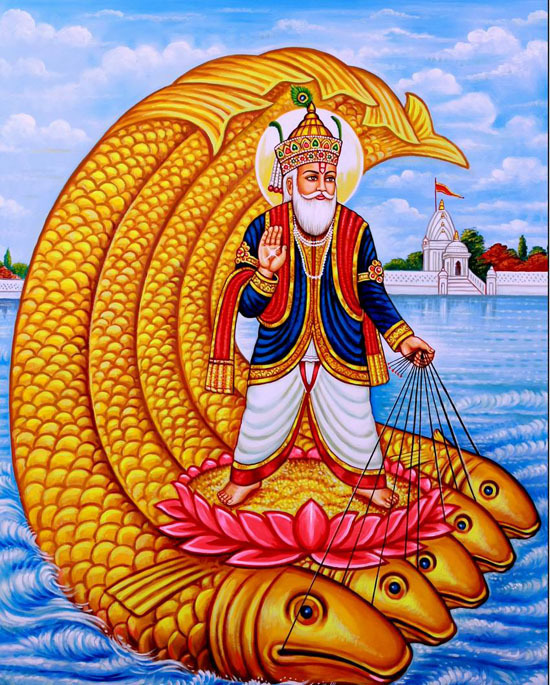 Cheti Chand is celebrated as a commemoration of birthday of Sindhi patron saint Jhulelal. This festival is to give honor the birth of Water God (Varun Devta) popularly known as Jhulelal. The Sindhi community is seen wishing each other in the native Sindhi Language “Cheti Chand jyon Lakh Lakh Wadayun Athav”, which means lacs of wishes for Happy Cheti Chand. Historically Cheti Chand is the birthday of Lal Sain Amarlal hence this is the most important day for the sindhi community and celebrated with that high spirit and emotions. 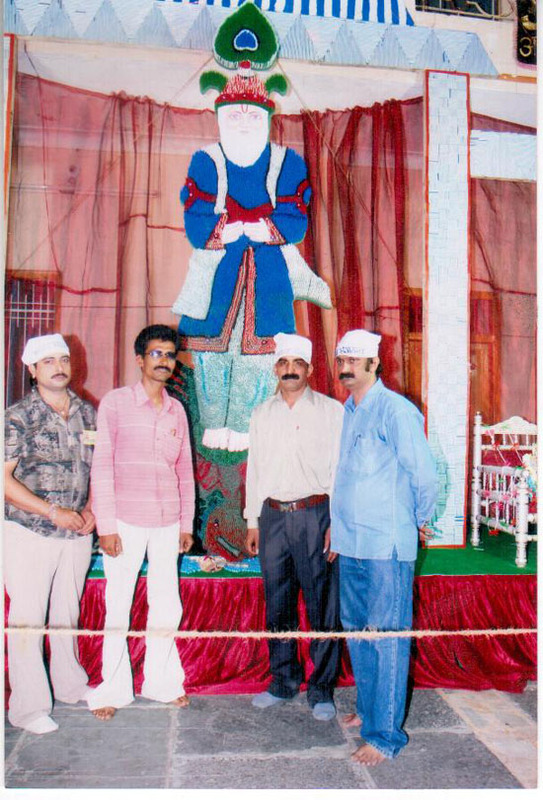 As a tradition, followers of Jhulelal observe Chaliho Sahab. It suggests that for forty long days and nights they underwent ritual on the bank of Sindhu. They did not shave, nor did they wear new clothes or shoes. They did not use soap or oil or any opulent thing. They just washed their clothes, dried them and wore them again. In the evening, they worshipped Lord Varuna, sang songs in his praise and prayed for their solace and salvation. After 40 days of Chaaliho, the followers of Jhulelal celebrate the occasion with festivity as ‘Thanks Giving Day’ even till today. On this day, many Sindhis take Baharana Sahib to a nearby river or lake. Baharana Sahib consists of Jyot (Oil Lamp), Misiri (Crystal Sugar), Phota (Cardamom), Fal (Fruits), and Akha. Behind is Kalsh (Water jar) and a Nariyal (Coconut) in it, covered with cloth, phool (flowers) and patta (leaves). There is also a Murti (Idol) of Pujya Jhulelal Devta. Sindhis keep their shops and activities closed on this day even food is not cooked at the home and they gathered at community building (at Jhulelal Temple, where after a session of singing, worship of Jhulelal is made and procession of Bahrano is taken out. 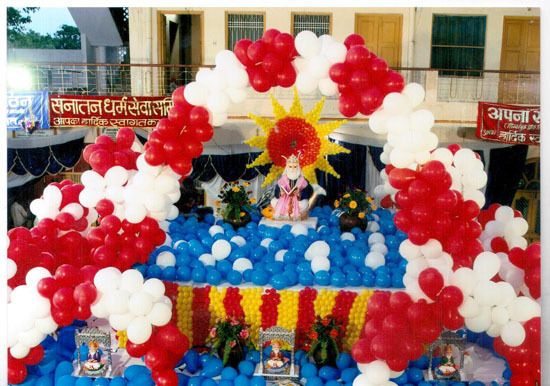 Cities Like Ulhasnagar, Ajmer, Indore, Kolhapur, Jaipur, Ahmedabad, Surat etc are famous for unique style of Cheti Chand celebration and huge gathering of sindhi people.In City of Lakes at Shakti nagar there is a temple of Jhulelal sahib where a fair is organized by the community peoples on ” Sindhi New Year Day”. 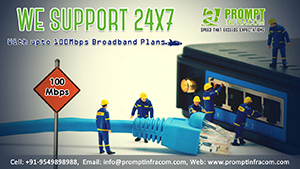 Various types of treats are also available for common community peoples. 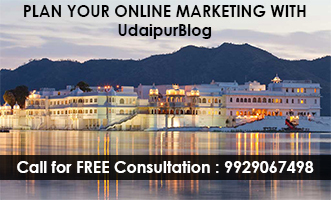 In UDAIPUR the main temple of Jhulelal sahib (Sanathan Mandir) is situated at Shakti Nagar. Its main feature is a JYOT which is brought by the Ancestors of Sindhi Community after separation of HINDUSTAN (India) & PAKISTAN (1947). 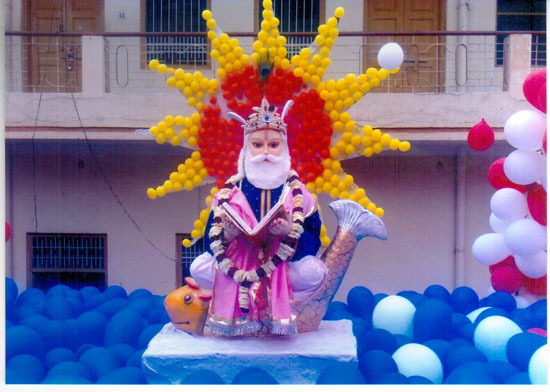 The usual tradition is that on this day Sindhis bring out procession of water God Lord Jhulelal, In the form of Bahrano Sahib from Sindhudham (Jawaher nagar) to Sanatan temple in Shakti nagar where the holy MAHA ARTI takes place . During the procession of Bahrano Sahib traditional sindhi folk dance “Chhej” is performed by all age group Sindhis. After that talented Sindhi students are awarded for their excellence in academics. On this eve of NEW YEAR a Sindhi Fair is also organized by the community people, followed by an arrangement of refreshment is made for all Sindhi Community people. 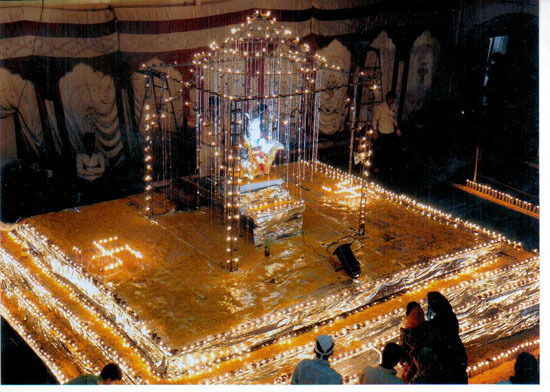 Lastly, at night there is Visarjan ceremony of Bahrano Sahib.